The Alupar Transmission Companies hold a wide national grid in operation represented by airlines and substations with various capacity levels. 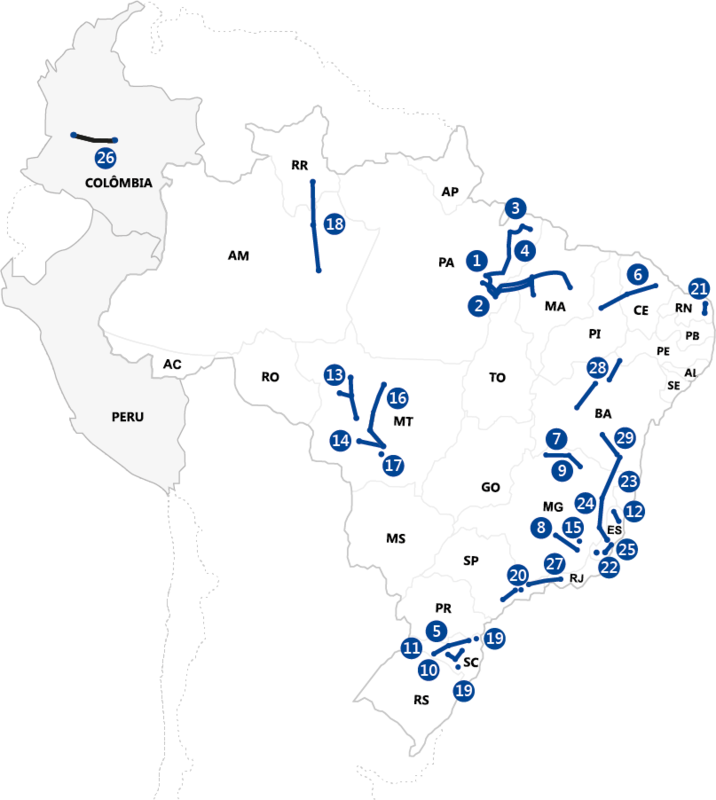 Alupar participates in 29 electric power transmission Companies in Brazil, with 30 years concession and one lifetime in Colombia. Alupar has diversified its electric power matrix by investing in activities of small and medium generation plants, such as HPPs, SHPPs and Wind Farms, in Brasil, Colombia and Peru. The Company holds the concessions / authorization assets to within 30 to 35 years in Brazil and lifetime in Colombia and Peru. Our plants in Brazil are part of the Energy Reallocation Mechanism (“MRE”), mitigating the hydrological risk and ensuring predictability in the cash flow of our assets already contracted. Bellow you will find a map pointing out Alupar‘s power plants.